There is a certain amount of stress that comes with the task of relocation. You start off with a whole lot of it, only to reduce it as you go along. The good news is that there are countless ways to minimize the stress of a long distance move. For starters, you can make a detailed plan well ahead of time. Another idea is to take care of the packing process early on. However, there is one, even better, idea that you can embrace. Hire Evolution Moving Company Fort Worth and let us handle all your relocation needs. Our long distance movers Fort Worth are trained moving experts with years of experience behind them and the capabilities to plan out and take care of your move from idea to realization. Highly-skilled and exceptionally trained long distance movers Fort Worth – at your service! Moving to Texas is an idea that crosses the mind of many people. Texas is a borderline state who’s Southeastern border lies on the Gulf of Mexico. Southwestern border of this state is the gateway to the country of Mexico. Furthermore, Texas is the largest US state with the capital situated in Austin, TX. However, Austin is not its biggest city. That title goes to Houston, TX. Statistically speaking, Dallas-Fort Worth greater metro area occupies the fourth largest area in the whole country. 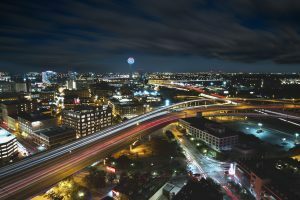 Given its geographical location and job opportunities, Fort Worth is a popular area to move to. In order to help prepare you for what awaits you there, we are going to take a look at how long distance movers Fort Worth can assist you with your move. Dallas-Fort Worth is the largest metro area in the inland USA and the State of Texas. There are 13 counties within it and it is the cultural and economic hub of North Texas. Also, Fort Worth is home to the world’s fourth busiest airport by aircrafts movements- Dallas-Fort Worth International Airport. According to the number of passengers, Dallas-Fort Worth is the twelfth busiest airport worldwide. If we take a look at the number of people that live in the Dallas-Fort Worth metro area, we will come to the number of more than 7,000,000 people. However, this should not mislead us. Dallas is a large city and the majority of this number of people comes exactly from there. Nevertheless, it is important to know that Dallas is a home to about 1,25 million people. When it comes to Fort Worth, we are talking about slightly less than 1,000,000 inhabitants. This means that the rest of the citizens who live in this area are dispersed. Still, both cities are very large. 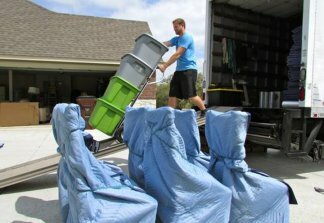 If you are going to need services from long distance movers Fort Worth, you are probably going to need to know what to expect in this area. In case that you are moving away, let us tell you that Evolution Moving offers great deals on both local Texas moves and interstate moves. Give us a call and we will do the rest. The housing market has been on fire in the last five years in this area. Given the fact that the local economy is booming, this should not come as a surprise. This area offers a lot in terms of employment and quality of life. Therefore, people have been moving to the Dallas-Fort Worth metro area in pursuit of career advancement and a good life for their family. Living in the cities is becoming less popular. Instead, young families move to the suburbs in order to provide their kids with an excellent education which is available here. Furthermore, it is important to know that the local community is very young. Therefore, if you are looking to move with kids, this may be the right place for you. Given the popularity, we need to point out that the mentioned area is far from cheap one to live in. While it may not be New York City or San Francisco, the whole of Texas has become very popular. Therefore, make sure that you have the skill set that will get you into business quickly here. Otherwise, you might burn out fast. Now that you have got certain basics of life in the area, it feels like the right time to take a look at how long distance movers Fort Worth can assist you with the move. First of all, it is important to point out that the goal of Evolution Moving is to provide fellow citizens from all over the country with a high-quality moving service at the right cost. We have been witnesses of moving costs that can skyrocket. This is something that we decided to end. With us, you will know the price of your move from the very beginning to the very end. It is our responsible business conduct that is to thank for the right attitude to business that we have. Residential moving is something that long distance movers Fort Worth excel at. Our Dallas movers are among the most experienced moving companies on the market. This allows us to make a foul-proof moving plan and execute it with ease. All of our employees are well-trained for the job they do. Our aim is to please our customers and we do it every time. If you would like to hear someone else’s opinion on our performance, why not try Yelp? It’s always a good idea to find your movers through a referral. Therefore, if you will need help for your residential move, give us a call. Our packing service Fort Worth is one of our most popular services. People usually like it better to leave packing to professionals. This ensures that their belongings will arrive at the destination safe and sound. Also, we have the packing material in the needed quantities. All you would need to do is to leave it up to us to take care of it. 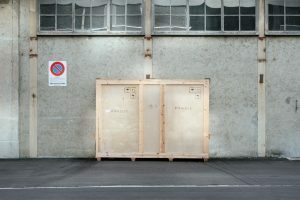 Secure self-storage service is another among the perks of hiring Evolution Moving Company Texas. 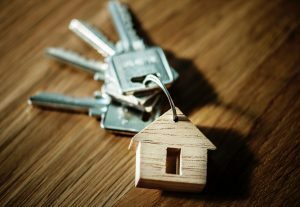 In case that you cannot fit all of your items in your new home at once, or simply need time to settle in, we can offer you to rent out a storage unit for your stuff. Leave them with us and come back at any point. Long distance movers Fort Worth offer rates that are affordable and our service exceptional. Why are we the long distance movers Fort Worth for you? We make it our objective to offer an all-inclusive moving experience, one that fulfills all the needs and expectations of a customer. It’s our way to prove that a relocation, no matter the size or distance, can be a positive and trouble-free experience. All it takes is some professional guidance from a team of long distance movers Texas. So, whenever you are ready, you can get your free estimate and contact us to schedule your relocation. We are eager and waiting!